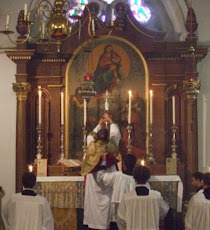 Fr Hunwicke's Mutual Enrichment: Advice? I know nothing about IT and all that. Can anyone help? The problem is the "sitemeter" attached to this blog. As far as 'Last Month' is concerned, it forgets daily statistics more than seven days old. As far as 'Last Year' is concerned, it forgets everything more than a month old. The 'Total Visit' statistic is stuck on 923,226, and has been for a long time. The sitemeter has a facility for asking for help. I have asked three times; I get sent a codenumber - I've now got three; but nobody ever gets back to me; the problems never go away. I definitively began to write my blog in 2010, but according to the statistics I had 2000 readers in juli 2007. Forget about statistics. Father, remember what happened to David when he started counting. Now you don't want a plague, do you? Give up on the counting - however many or few we are - we all love you. Perhaps no-one reads your blog any more? I've just googled "site meter not working" and from the references which have been pulled up, it would seem that many subscribers are finding the service erratic and reporting similar unhelpful responses from the sitemeter people. Maybe the answer is to change to another service. I've just found 'StatCounter' but I have no experience of it.